Pagan Cider is a boutique Tasmanian cider producer, located in the picturesque Huon Valley, about four kilometres north of Cygnet. 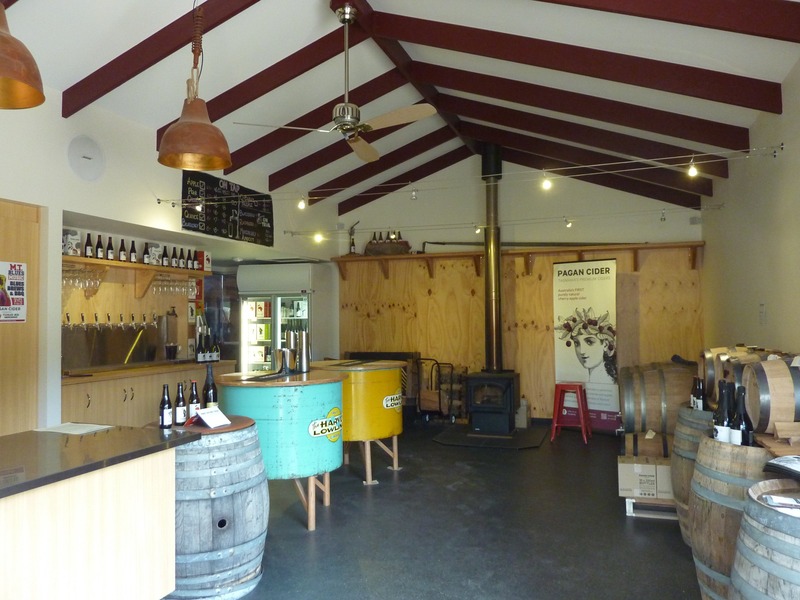 A cruisy 45-minute drive south of Hobart, their intimate little tasting room is the southernmost cider cellar door in Australia, and the only one set in a working cherry orchard. Enjoy free tastings of their flagship range of apple, pear and cherry ciders, which are elegant, sparkling and modern. They are also known for their exquisite and exclusive limited-release seasonal blends, such as quince, blueberry, strawberry and peach – all made without any added sugar, using fresh fruit lovingly grown by local farmers, crafted into special tipples of rare sparkle, clarity and balance. From humble beginnings as home brewers, they’re bubbling over with fresh ideas, passionate about creating unique, pure-tasting ciders. It’s their willingness to try new things and to keep asking “What if?”, that sets them apart from the crowd. Cider and crepes is the perfect match and over summer Pan Demonium Cafe will be on site serving traditional French crepes and waffles. Catch them Wednesday-Sunday 11am to5pm. Yum! Open seven days, except Good Friday and Christmas Day. Summer 11am to 5pm, Winter 11am to 4pm.